To improve health outcomes in USAID areas of maternal and child health (MCH), family planning (FP) and tuberculosis (TB) by enhancing leadership and governance capabilities of local chief executives and local health officers. The Health Leadership and Governance Program (HLGP) is a USAID joint initiative with the Zuellig Family Foundation and the Philippines’ Department of Health (DOH) to strengthen the leadership and governance capabilities of local chief executives (LCEs) and public health professionals to address health system challenges. The activity will bolster the capacities and commitment of regional and local health and other agencies, including the academia, to support local health systems. The public-private collaboration will be implemented in 118 priority municipalities and three cities to help facilitate the achievement of the country’s MDGs by reducing maternal and infant mortality rates. 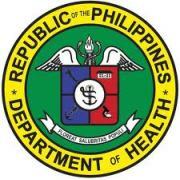 The Department of Health (DOH) holds the over-all technical authority on health as it is a national health policy-maker and regulatory institution. The DOH has three major roles in the health sector: (1) leadership in health; (2) enabler and capacity builder; and (3) administrator of specific services. Its mandate is to develop national plans, technical standards, and guidelines on health. Aside from being the regulator of all health services and products, the DOH is the provider of special tertiary health care services and technical assistance to health providers and stakeholders. Integrity – The Department believes in upholding truth and pursuing honesty, accountability, and consistency in performing its functions. Excellence – The DOH continuously strive for the best by fostering innovation, effectiveness and efficiency, pro-action, dynamism, and openness to change. Compassion and respect for human dignity – Whilst DOH upholds the quality of life, respect for human dignity is encouraged by working with sympathy and benevolence for the people in need. Commitment – With all our hearts and minds, the Department commits to achieve its vision for the health and development of future generations. Professionalism – The DOH performs its functions in accordance with the highest ethical standards, principles of accountability, and full responsibility. Teamwork – The DOH employees work together with a result-oriented mindset. Stewardship of the health of the people – Being stewards of health for the people, the Department shall pursue sustainable development and care for the environment since it impinges on the health of the Filipinos.